Not sure what to do this weekend in The City Beautiful? Well, don't worry because we've taken the hard work out of planning a fun-filled weekend. 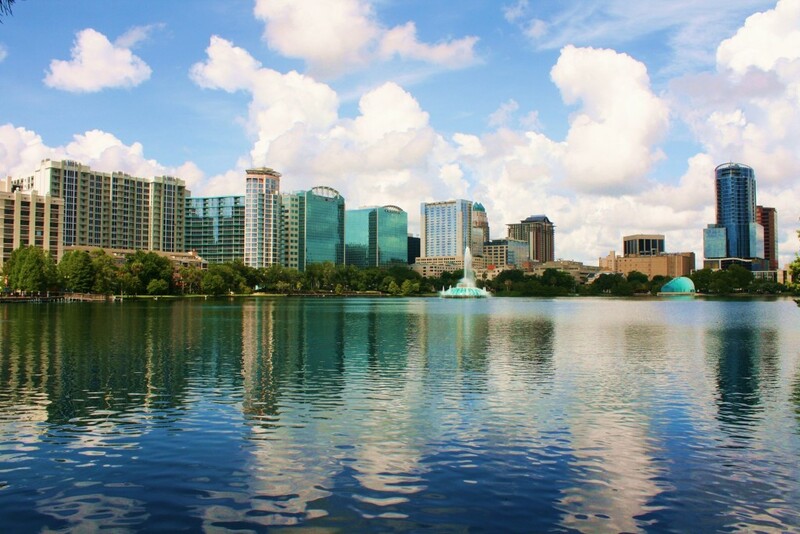 Whether you're looking for a relaxing day of yoga at Lake Eola Park, or a night out sippin' on drink specials downtown, there is something for everyone to enjoy. Check out our list of things to do in Orlando and comment below which events you plan on attending! The 5th Annual Orlando Whiskey Festival is back and takes place on Saturday, March 9th. The grand tasting allows guests to sample close to 100 whiskey brands and interact with industry professionals. Gourmet menu selections will be on site from some of Orlando's most popular restaurant groups. Solo Cup Thursdays at Shots Orlando are always a party for the masses. Come reminisce and lounge over old school Hip-Hop, Punk Rock and Pop Jams provided by DJ Flat-Top. Bartenders will be serving unbeatable drink specials at one of the hottest bars in Downtown Orlando! 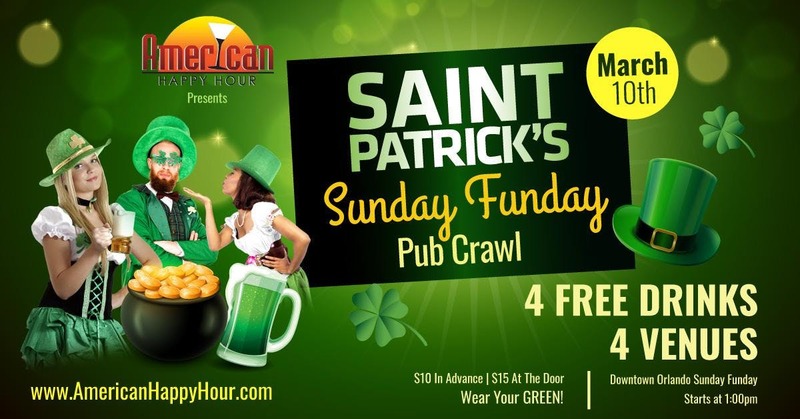 Enjoy your Sunday afternoon and celebrate St. Patricks Day at all your favorite watering holes in downtown Orlando. Dress in green from head to toe, be creative and have a great time. You will receive a complimentary draft beer or well cocktail at all 4 venues of the pub crawl. 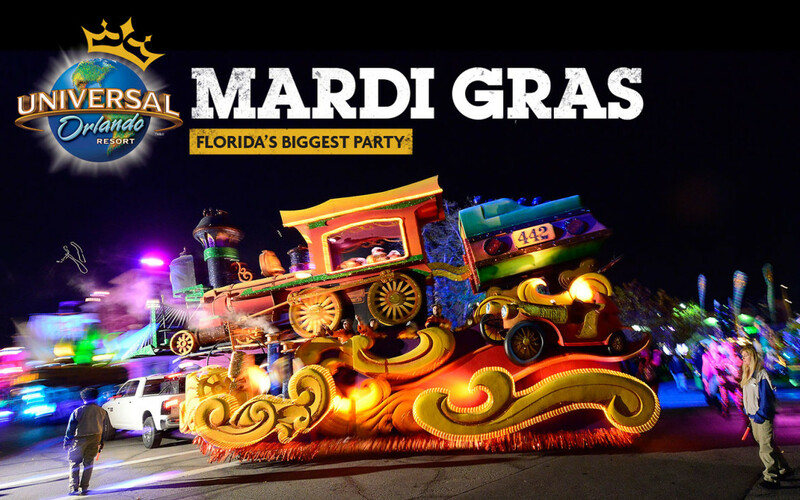 Mardi Gras at Universal Studios Florida is unforgettable springtime fun for everyone. Enjoy nightly parades with outrageous street performers, colorful costumes and countless beads flying through the air. Catch some of the biggest names in music, live in concert on select nights. Plus you'll enjoy authentic New Orleans bands each night and mouthwatering Cajun food available for purchase. The College Park Neighborhood Association (CPNA) is hosting Saturday In The Park With Music And The Arts, and are delighted to have you be a part of the event! This is a daytime and evening event that will include a wide variety of entertainment options for all ages! 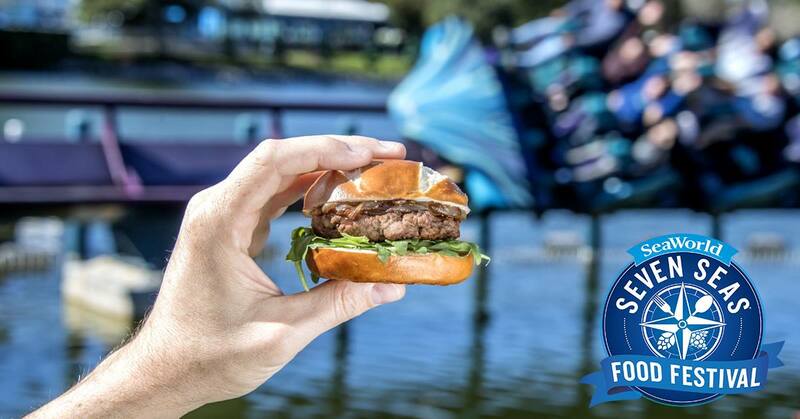 Seven Seas Food Festival returns this year with more fun and food than ever. Guests are invited to sip and sample their way through the park to discover globally inspired flavors while enjoying local craft beers and beverages from around the world. 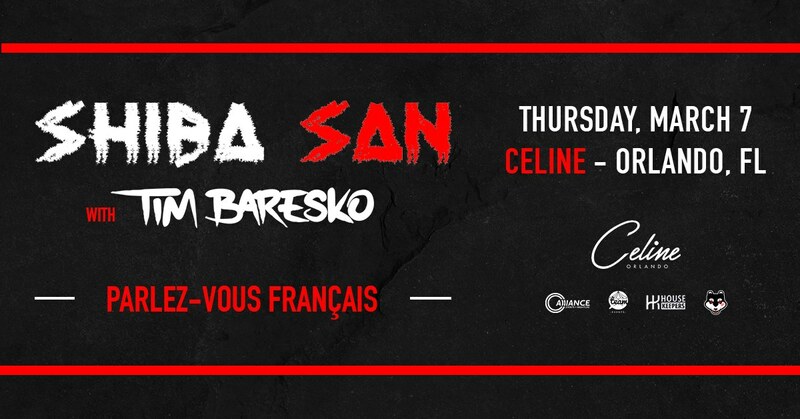 Alliance Events & Nightlife, House Keepers & Celine Orlando present: Shiba San with Tim Baresko. Elektric Voodoo, a 7-piece band from Southern California, will headline the second annual Mardi Gras Music Festival. Led by Scott Tournet, Elektric Voodoo blends classic Afrobeat, Latin, rock 'n' roll, jazz and blues into its own unique genre that tastefully straddles the line between modern and vintage. 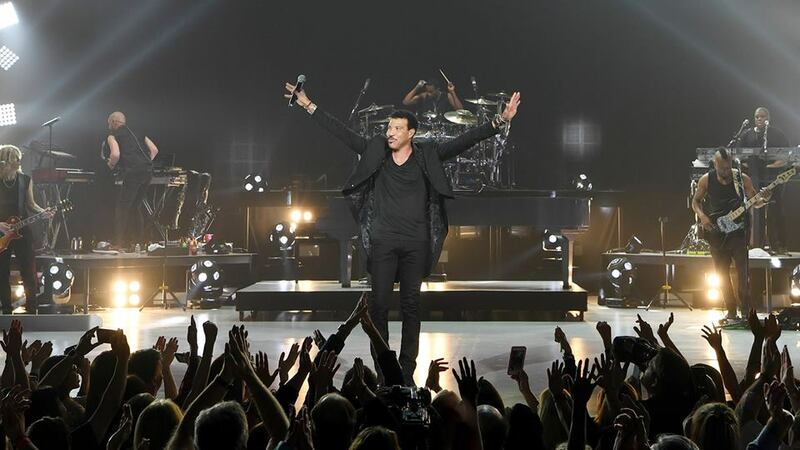 Get ready to enjoy some live music in Orlando as Lionel Richie is bringing all of his greatest hits to the Amway Center this weekend on his North America Tour. 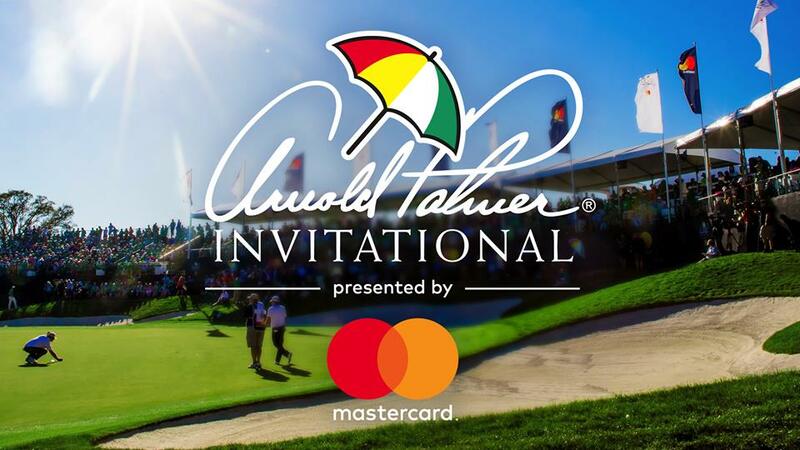 The 2019 Arnold Palmer Invitational is set to tee off on Thursday, March 7th and will continue throughout the rest of the weekend. Bay Club Hill will be hosting some of the worlds top-ranked golfers including Rory McIlroy, Rickie Fowler, Justin Rose and more. The message of Its Just Yoga is: yoga is for everyone and yoga is for you. It’s Just Yoga festivals are for yogis of all experience levels, ages, shapes, and sizes. All classes are donation based and benefit New Hope for Kids. 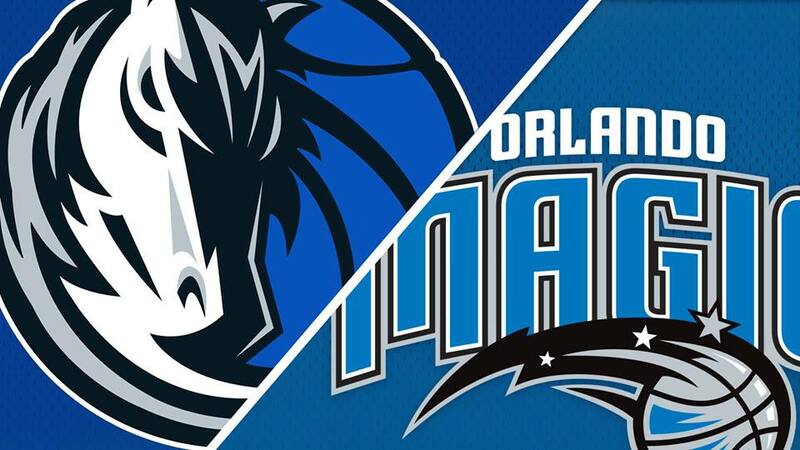 Cheer on your Orlando Magic as they face off against the Dallas Mavericks at the Amway Center on March 8th.